Top quality cylinder kit by Naraku. Extra special attention has been paid to the piston quality. The Naraku piston is molybdenum-coated, which protects it during the running-in period. 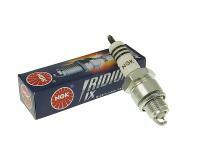 This Naraku kit is the right choice as a solid alternative to the expensive original cylinder. Performance corresponds to the original. One of the most popular engines for Yamaha style 2 stroke Liquid Cooled European bikes in the late 90s and early 2000s it was the engine of choice for racing Aprilia SR50, Benelli 491, Malaguti Phantom F12, Malaguti F15 Firefox, Italjet Dragster, NBK Nitro, and the extremely popular Yamaha Jog and Aerox 50cc LC. 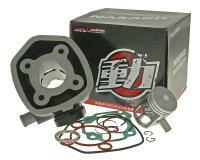 Delivery as shown including gaskets, piston, piston rings and small parts. Original cylinder head can be retained. 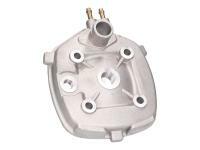 Please check that you have a two stroke Minarelli LC engine before ordering. Check your vehicle under the application list. Naraku is one of the best known scooter brands from Taiwan. The company has made a name for itself when it comes to after-market racing Minarelli JOG 2 stroke high-performance scooter replacement products and professional replacement engine parts. As our in-house performance brand we carry the full range of Minarelli performance products. When selecting Naraku or any major performance brand we suggest not to mix and match brands know that Naraku components are designed to work with other Naraku components for the best performance possibilities. Keeping your racing upgrades in the same brand makes it easier to tune since they are designed to work with each other. Naraku is one of our top tier Minarelli Yamaha brands with our highest recommendation. They have an excellent price range, model selection, and the highest quality. For all your Naraku needs make sure to select Racing Planet USA.